Butterbeer is a drink which may require a little explanation if you happen to be unlucky enough to have missed reading (or seeing) Harry Potter. 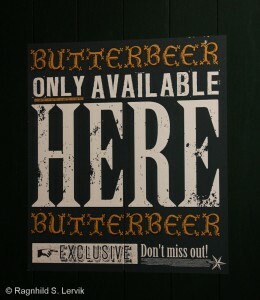 From that you can probably gather that Butterbeer appears in J. K. Rowling’s novels (and in the films), and so, naturally, it has been “recreated” and is sold at Warner Bros Studio Tour: The Making of Harry Potter in Leavsden outside London and at The Wizarding World of Harry Potter in Florida. Well, I say “recreated”, I think a more correct phrase would be “reimagined”. 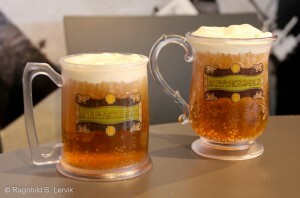 In the books Butterbeer may be served cold from bottles or warm “in steaming tankards”, but both are said to have a “warming” effect. 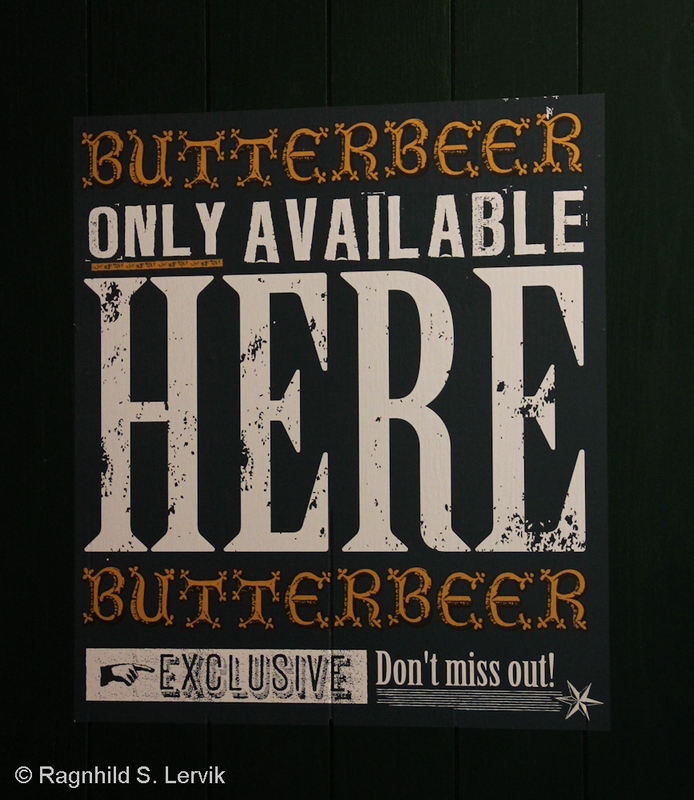 It’s possible that Rowling based the idea, or at least (subconciously) the name on a drink from the Tudor era, “Buttered beer”, which was made from beer, sugar, eggs, nutmeg, cloves and butter, in recent times recreated by Heston Blumenthal. When asked by the magazine Bon Appetit in 2002 what butterbeer would taste like, Rowling said: “I made it up. 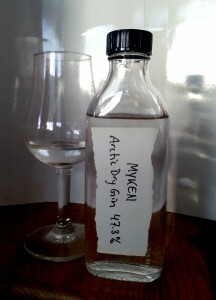 I imagine it to taste a little bit like less sickly butterscotch.” It is also reasonable to suppose that the fictional drink has a slight alchohol content, for while it is served to children , the house elves can get drunk on butterbeer. 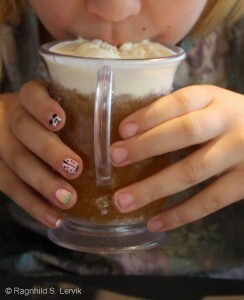 What you get when you order Butterbeer at Warner Bros Studios is a sort of soda float. 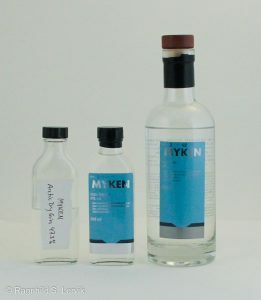 A soda-like fluid is pured in the glass and then topped with a soft serve ice cream-esque substance. You can pay extra to have thwe whole in a plastic souvenir tankard, of course. Which we did, of course. You know “fan” is short for “fanatic”, right? Nose: Vanilla ice cream and toffee sauce. Palate: “The foam” tastes of vanilla ice cream and toffee, and the “soda” appears to have a toffee flavour, too, the whole is surprisingly refreshing. An attempt at drinking the soda by itself, not through the foam, reveals that is is actually quite bland, a sort of watered-down toffee-flavoured soda. Comments: As a package quite nice in a way, and much less nausea-inducingly sweet than I expected. I easily finished my “tankardfull” as an accompaniment to my burger. 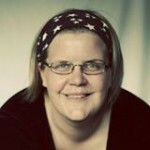 The lass, however, was less convinced (suprisingly, as she has a sweet tooth like the best of them). Her first reaction was “Yum”, but then she decided she liked the foam only, and went to get a spoon to finish it off. But when we’d finished our food and were ready to continue our tour, she hadn’t eaten more than half, which I think qualifies as a “not drinkable” vote from her.